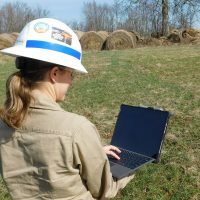 Compliance management can present numerous challenges for operators, with multiple permits required per work site and inefficient, paper-based data storage. To solve these industry-wide challenges, TruHorizon has created their compliance management application, a central digital repository for environmental and regulatory data. Incorporating inspection, monitoring and tracking, this digital database offers robust reporting, supported by a suite of services for tracking costs and maintenance. TruHorizon is first to market with a compliance data management platform. This platform, which provides an overview of installation, inspection and actions data, enables the tracking and management of compliance data digitally. 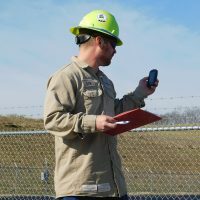 With this application, data is collected for onsite inspections, provides customers with a digital audit trail verifying their compliance and due diligence. Timely reports are necessary to manage your business and keep your managers informed. Traditionally, paper reports come in from the field, are scanned, emailed to the responsible person and stored in a physical paper file. Having data available for immediate review, being able to consolidate individual reports into useful summaries and using your data to make better decisions for your organization is an advantage.